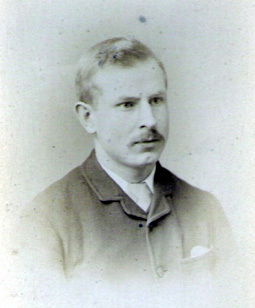 John William Sowman was born in 1860. The 1891 Census informs us that he and his wife Jane Ann (née Neal and known as Jenny) and his brother Edwin were living at No. 32 Market Place over the shop. They were still living there in 1901 but in 1904 they were recorded as living at No. 27 High Street South. John William and Jenny had a son, Francis William, who sadly died aged one year, in December 1892. Two other babies were stillborn. Jenny died in December 1905 aged only forty-one years. John William married his second wife Isabella Dora Fitch in 1911 and she died in 1933 at West Mersea. He then married Lillian Harriet Rudkin, probably a cousin, in 1935. John was then aged 74 and Lillian 59. It is noted that father, William, and son, John William, both married a ‘Rudkin’. The date of John William Sowman’s death is not known, but he probably died at West Mersea where he retired. In fact very little information has come to light for John William, probably because he retired away from Olney, also of course he had no surviving descendants. The hand written note, shown again below, below indicates that John William’s father, William, assisted his sons John William and Edwin to set up the business in Olney by purchasing in 1888 the stock, goodwill and possibly the buildings, from Thomas Cooper for the considerable sum of £800. 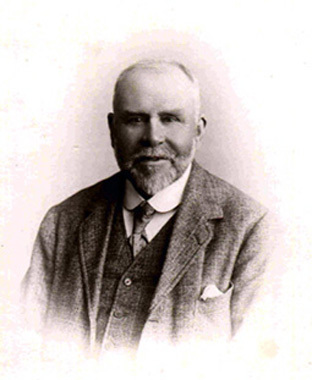 Alfred William Rudkin, born in 1862, was the second son of William and was probably better known as Willie. He moved to Olney in 1904 from Clandon in Surrey. He became a Director and Secretary of the Sowman business. Formerly he had been estate manager for the West Clandon Estate which belonged to the Earl of Onslow. In 1901 he married Ellen Bone who was born in Clandon in 1868. 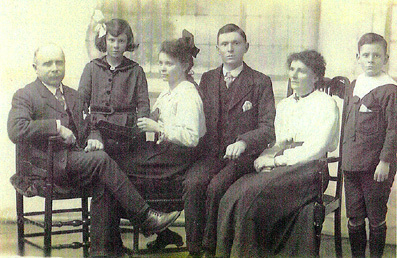 The marriage produced six children, including John Edward Rudkin Sowman, the father of David Rudkin Sowman. Editor’s Note: David’s wife Pam has extensively researched the history of the Sowman family, and has provided much of the material from which this article is derived. Alfred is recorded as living in Glenhurst, Midland Road in 1908 and at 22 High Street South in 1936 before retiring to Shalford near Guildford. He died in 1945; Ellen survived him for a further five years, dying in 1950. 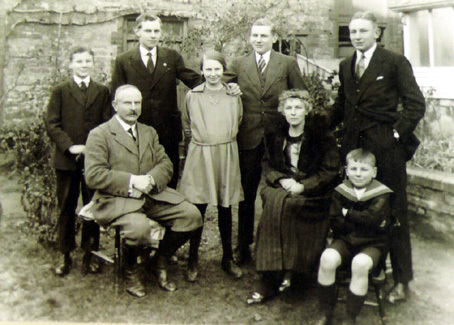 Of Alfred’s children, Frank went into banking, John’s career is covered later, Arthur entered the navy, Philip became a solicitor and Eleanor’s career before marriage is unknown. Patrick went into Sowmans before entering the RAF in 1935. He was later captured by the Japanese, but survived the war. Edwin Sowman was born in Colchester on 14th January 1865 and was educated there at the Royal Grammar School. After leaving school he spent five years acquiring business methods and office routine. His parents wished him to enter the Law, but finding he had no aptitude for it, he and his brother, John William, formed a partnership and took over Cooper’s ironmongery in Olney. This became the prosperous business of JW & E Sowman, the ironmongers and agricultural implement suppliers. 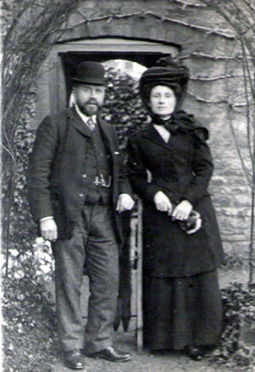 In 1889 Edwin married Martha Elizabeth Edwards of Bedford. She was the sister of Mrs Thomas Wright, wife of the well known Olney schoolmaster. Edwin and Martha moved to No. 26 High Street, which he then named ‘Colchester House’. 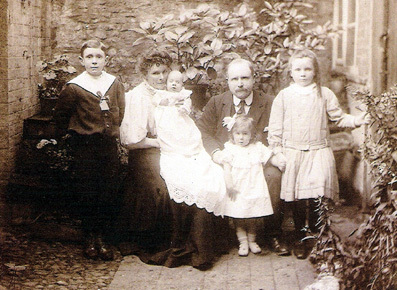 They had four children, Ronald Edwin, Muriel Catherine Susannah, Elizabeth Margaret (Betty) and Eric Charles William.